Any sane British/Irish rugby fan who had been offered a drawn series against the All Blacks two months ago would have taken it without hesitation. 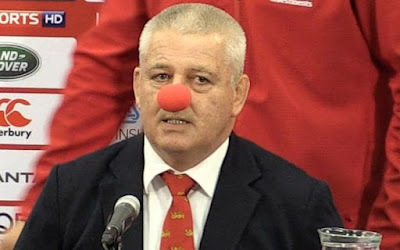 Given how utterly impossible the task looked on the back of an entirely inadequate preparation period and a seemingly brutal playing schedule, what this group of players and coaches (and yes, I’m admitting I was wrong about Warren Gatland) has achieved is nothing short of remarkable. What is bleedingly obvious is that for the Lions concept to continue to flourish (and it’s been obvious from the legions of fans travelling down under and the way the Kiwis embraced the tour that it is a concept treasured by the rugby public), the decision to reduce future Lions tours to only 8 matches needs to be reversed. In New Zealand the Lions achieved the impossible with one arm tied firmly behind their backs. To further handicap future tours is not only unfair, it also puts the whole concept at risk. After all, who will want to play for or coach a team that is recklessly being set up to fail?